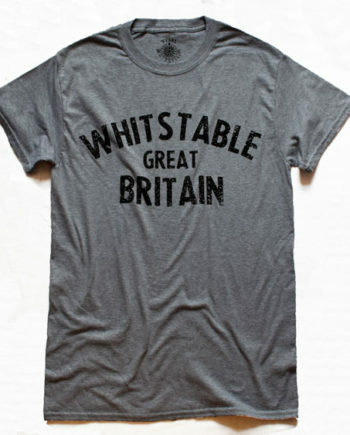 Classic Fabric, soft feel Unisex WHITSTABLE GREAT BRITAIN Hoodie. 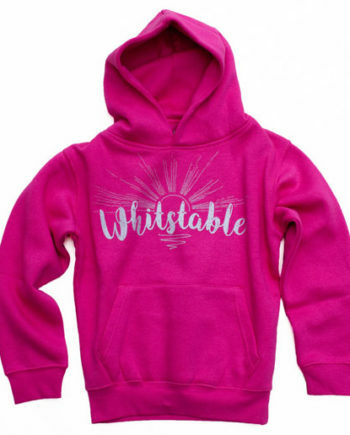 A standard weight, hoodie with a double thick hood and soft fleece inner lining. 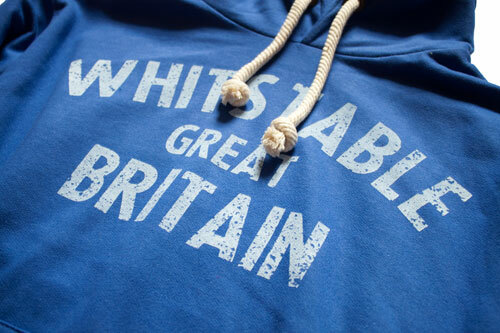 Made from a poly cotton mix, this lighter weight fabric really is a year round hoodie. 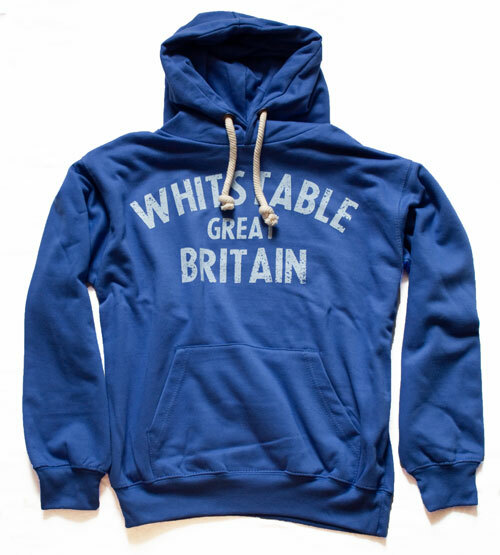 The cream coloured thick rope draw cord gives this hoodie a nautical feel. This hoodie carries the same design from our original hoodie. 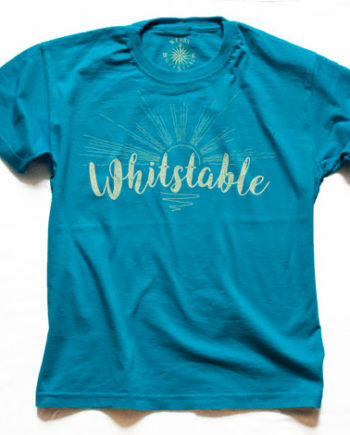 The vintage influenced, WHITSTABLE GREAT BRITAIN distressed print in a subtle off white blue was a real favourite on our first hoodie in 2013 and makes this our classic hoodie today. Available in 6 sizes, there is one waiting for you.